• Cleanable: Fixtures are easy to clean without surrendering aesthetic appeal. For example: Bacteria-resistant fabrics and polyurethane arm caps are two ways in which furniture can limit healthcare-associated infections (HAIs). • Durable: Materials stand-up to thousands of rounds of cleaning as well as high traffic due to 24/7 usage. Steel seating is used and has the added benefit over traditional wood seating, as it is resistant to bacteria and able to stand-up to harsh cleaning compounds, especially when combined with polyurethane arm caps. • Mobile: When it comes to furniture and equipment, mobility is vital. Staff must be able to access and clean the space under and around the furniture. Being able to clean the entire healthcare environment means that furniture must be easy for cleaning staff to move. Supplying adjustable and moveable furniture also helps to better accommodate visitors. A large amount of research exists about the positive impact of family and social support on patient physiological and psychological healthcare outcomes as well as patient satisfaction. Mobile example: A bedside cabinet with concealed self-locking casters that simply require a cleaning staffer to squeeze a lever to activate the casters. Then, the cabinet can be easily rolled away from the bedside to make room for cleaning. Once the levers are released, the casters revert to a locked position. ̉• Safe: Our furniture can help reduce patient falls and associated injuries because it is both sturdy and includes adjustable features. It also limits edges that can injure patients who do fall or trip. 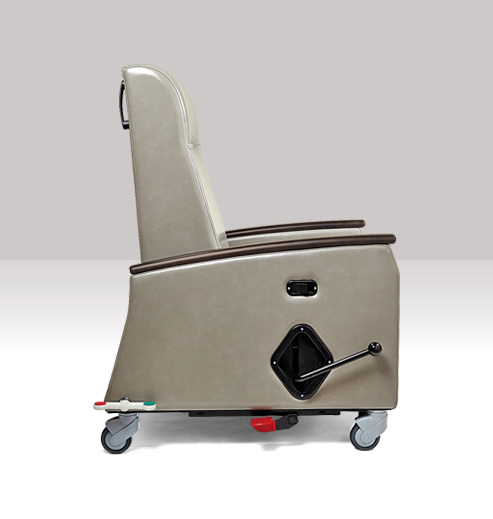 Our healthcare furniture is a tool in health and healing for both patients and healthcare workers. 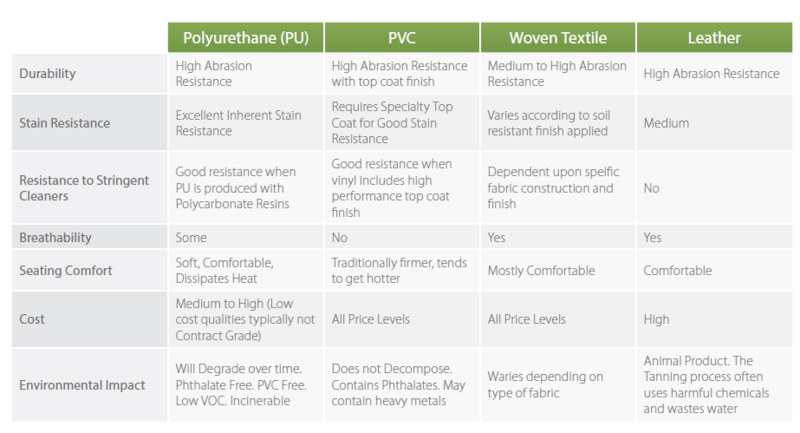 Fabrics can be the most overlooked aspect of healthcare furniture selection. Furniture with porous materials and surfaces can hamper infection control. Trust the Experts! Contact us today to learn more about how we can help meet you healthcare furniture needs!